The consort chose some of their favourite pieces for their ‘Heart’s Ease’ programme, some of the most beautiful music ever written including works by Jenkins, Byrd and Farina. As part of the Toronto Early Music Centre’s Fair at Fort York and in celebration of the Magna Carta on display, The Cardinal Consort of Viols presented music from the time of Magna Carta’s true revival and glory in 17th-century England. 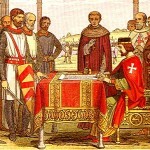 Early in the century when King James claimed absolute authority, Sir Edward Coke revived the defunct Magna Carta to declare that the King was subject to the rule of law – thus the skirmishing began, leading to the civil war. 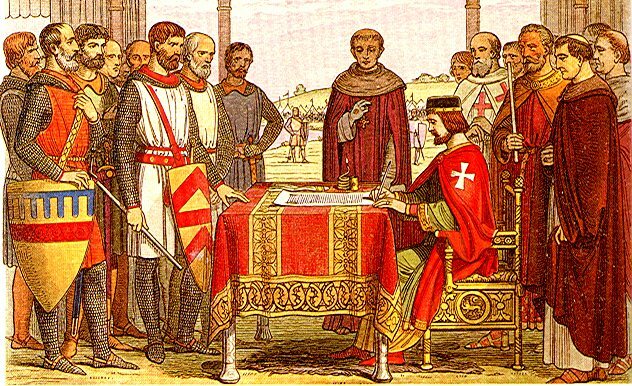 Through the century, the kingdom’s struggle for rights, freedoms, and the rule of law for all brought about the Magna Carta’s practical implementation as well as the English Bill of Rights at the close of the century. Many musicians such as William Lawes took sides, fought, and paid the price, but this was still a time rich in inventive and original music. The 17th-century biographer Roger North famously said: ‘Many chose rather to fiddle at home, than to goe out, and be knockt on the head abroad’. The consort presented Jenkins’ masterful musical depiction of war, Newarke Seidge, Tomkins’ ‘Sad paven for these distracted tymes’ along with works by Lupo and of course, Lawes. The Cardinal Consort performed ‘Love and Regretz’, a programme exploring the complexity of love, featuring works by Josquin, Holborne, Dowland, and Jenkins. 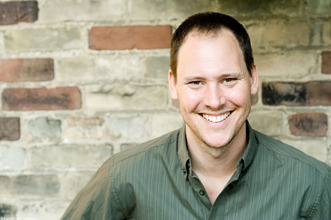 The compelling tenor Bud Roach joined the ensemble in some consort songs that were guaranteed to stir the passions. The Cardinal Consort joined forces (once again!) with the wonderful Mark Vuorinen, conductor, and one of his new choirs, the Conrad Grebel Chamber Choir from Waterloo. We were also pleased that Mary Anne Ballard was able to join us again! Our programme, An English Sampler, featured some of England’s finest and most beloved music for viols and voices. We very much enjoyed our collaboration with the Tallis Choir of Toronto in a concert of verse anthems and consort songs from the Tudor and Jacobean courts. We were thrilled to have Mary Anne Ballard on bass viol, and Marilyn Fung on G violone, joining us again! Weren’t we lucky?! We got to perform the Record of John two Sundays in a row last December! The Cardinal Consort of Viols performed music ‘Known and Loved’ for its annual Thanksgiving Eve concert on Saturday, October 12th. Included were some gems of the repertoire by John Jenkins, Giovanni Coprario (aka John Cooper), John Ward and Orlando Gibbons, as well as others not yet known but sure-to-be-loved, including music of Leonora Duarte and Andreas Hammerschmidt. The Consort was thrilled to be joined for this concert by Mary Anne Ballard, treble viol, known and loved for her work with the Baltimore Consort and the Oberlin Consort of Viols. 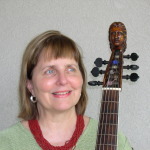 Mary Anne Ballard, viola da gamba, has, as a performer and programmer, explored a wide variety of early music from the Middle Ages through the Baroque periods. She has toured 47 states, The Netherlands, Germany, and Austria, and appeared on numerous radio programs (e.g. St. Paul Sunday, Performance Today) with The Baltimore Consort, an ensemble whose recordings of repertory from Renaissance England, Scotland, France, and Spain, as well as early traditional music have ranked in the top 10 on the Billboard “classical crossover” charts. She is also a member of the Oberlin Consort of Viols, Brio (Sephardic music), Galileo’s Daughters, and Mr. Jefferson’s Music. As a guest viol player, she has appeared with the Smithsonian Chamber Players, the Bethlehem Bach Festival, the Philadelphia Singers, and the Indianapolis Baroque Orchestra. 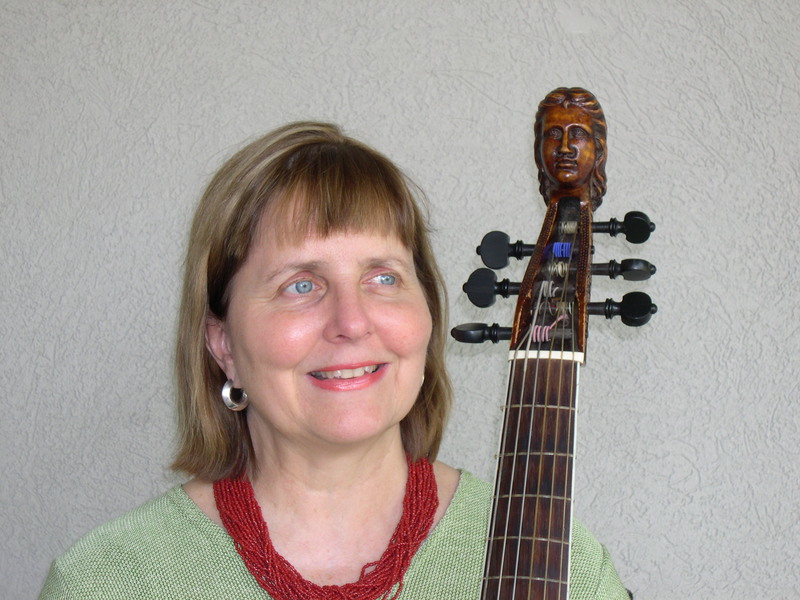 Ms. Ballard has taught viola da gamba and directed early music ensembles at the University of Pennsylvania, Princeton University, and the Peabody Conservatory, and she is currently on the faculty of the summer Oberlin Baroque Performance Institute. In New York, she is Music Director for the GEMS production of the 12th-century Play of Daniel, with performances at The Cloisters and Trinity Wall Street Church. Matthew Locke is considered to be among the finest of the 17th century English composers before Purcell. Most famous for his ventures into early English opera, he also composed spectacular instrumental works full of complex harmony and ravishing beauty. We were very pleased to be able to present some of his superb music for viol consort, deemed by contemporary sources as the last and finest of its kind. A programme of some of the most exquisite music for viol consort by John Jenkins, William Byrd, Anthony Holborne and Carlo Farina. The superb Montreal soprano Dawn Bailey joined us for an evening of consort songs and instrumental music written for and about some very special ladies. As part of the Toronto Early Music Fair, Cardinal Consort played music by two of the greatest viol composers of all time, John Jenkins and Orlando Gibbons. Cardinal Consort presented “Rest awhile your cruel cares” as part of Holy Trinity’s ‘Music Mondays’ lunchtime series. Our midday respite from the hustle and bustle of city life included exquisite music for viols by Dowland, Holborne and Robert Johnson. We were thrilled to be joined for this concert by our good friend and colleague, Marilyn Fung, who played both tenor viol and G-violone. Works by Byrd, Holborne, Dowland, Gibbons and Bull. Performance by Cardinal Consort of Viols with guest tenor Frank Nakashima. 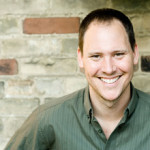 In conjunction with the Toronto Chamber Choir, the Cardinal Consort of Viols performed Renaissance canticles, anthems, madrigals and vendors’ cries by Gibbons, Byrd and others. Royal St. George’s College Chapel, Toronto. Unmask the New Year with some festive viol music! Music of St. Valentine, music of love and regret! A scrumptious programme of rarely-heard Italian music for viol consort with our special guest Lucas Harris on theorbo and lute!